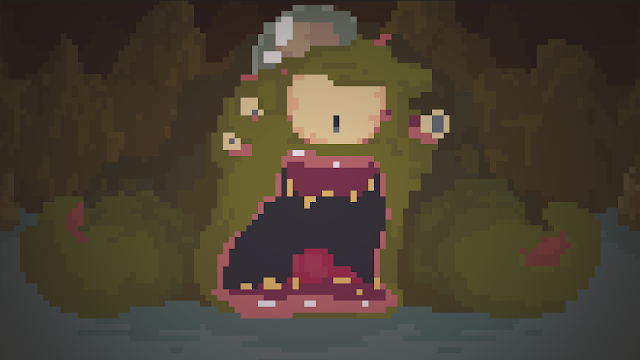 We love Crawl. The 4 player local dungeon crawler stole our hearts at the Seattle Indies Expo in 2014 and we have been closely following its progress since. The last few updates have added a lot of items, a few new monsters and a second boss to the game, but the latest update has us squealing with joy every time we start a match. When we first started playing Crawl, every game started with one player, seemingly picked at random, as the human and the other three as the ghosts. There were ups and downs to being the first human in a match. You'd get first pick of the gear from the shop (if you could afford any of it) and would be the first to gain levels towards reaching the boss. The other players would get a leg up on leveling up their monsters which could leave you a bit behind the curve when one of them finally killed you. The new update adds a marvelously creep narration at the beginning of a match that describes the players descent into madness. When the narration concludes, the player must fight to the death and the last one standing becomes the "hero." We've played half a dozen games since the update and haven't come across the same intro twice. The intros strike just the right tone, building a bridge between Lovecraft and The Evil Dead. I love playing Crawl, but those opening scenes get me even more excited to play. Powerhoof's pixel animations still blow me away. The amount of movement, and action they are able to convey is akin to something I'd expect from a Metal Slug game. Even with a relatively low pixel count, there is very little ambiguity about what a particular model is or what it is doing. The five new monsters making their debut in the update are a blast to play and their abilities add more diversity to the usual monster's suite of skills. For example, Super Pope, the skeleton arch mage throws flesh seeking skulls, one of which leaves a red trail of noxious gas that hangs in the air for a while, damaging the hero if the pass through it; Wriggly Pete is an equally dangerous, huge, floating ammonite who creates a wall of monstrous tentacles and has impressive reach with his melee attacks. A clear favorite has emerged among us though. Kevin the Destroyer is a tiny little fish who flops about the room, throwing bubbles at the hero and occasionally creates a small slick of poisonous mud on the ground. He doesn't seem all that powerful, but we love him all the same. Crawl has always been fun to play, but the 0.9 update's new features have doubled our enthusiasm for it. Dave and Barney have built one hell of a game and we are so happy to have been there to see how far it has come. 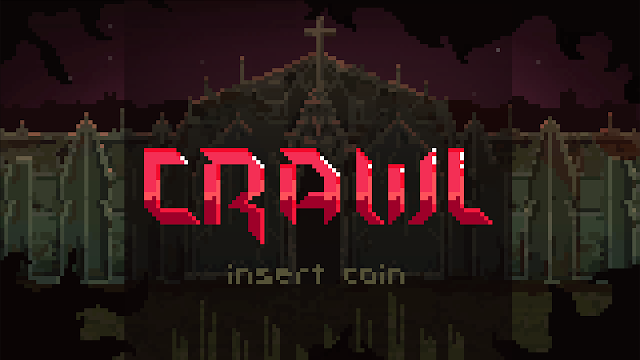 If you don't own it already, you really should just get online and buy Crawl now. Like, right now.